Markus Willinger, a grad student of history and political science from Schärding, Austria at the University of Stuttgart, published a 2013 manifesto entitled Generation Identity: A Declaration of War Against the ‘68ers, in which ‘68ers’ refer to postmodern philosopher Jacques Derrida’s belief that the year 1968 was the phase of transitioning the counterculture movement into the current Zeitgeist, where the Left of today now governing the nations of the world are the hippies who got rich during the Reagan Revolution and were henceforth known as ‘yuppies’. Now that most of these hippies are in their seventies and many hold positions of power in government, pop culture and even the corporate world, the ’68’ers’ have launched yet a new, far broader and more consequential struggle to eliminate pro-democracy individualists (primarily millennials) seeking to restore the Judeo-Christian principles that once drove the political, cultural, racial and ethnic consensus in the West. This collective stream of consciousness for Willinger’s Identitarian movement embraces a responsible, harmonious equilibrium of liberty, the rational intrigues tied to classicism and natural law during the Age of Enlightenment (as is evident through the Identitarians’ ‘lambda’ emblem which was featured on the Spartan shield) with the provocative passion and emotion of the state of nature characteristic in the arts and sciences during the Age of Romanticism. Most importantly, these themes must be institutionalized at the most local levels of family and community if they have any hope of becoming foundational. By rediscovering a people’s patriotism and pride through civic duty, Willinger suggests that this prescription of variety versus the established authority will debase the legitimacy of their antiquated passe political identities derailing violent social changes, cultural and moral degradation resurrected and enhanced from the 1960s. For now, America today remains a nation with an English-speaking white majority, yet also experiencing a rising Latino population that already knocked off the increasingly destitute, militant black urban population as the largest minority demographic. Yet because our Constitution was heavily influenced by English common law and British culture, America must pivot away now from Jefferson’s definition legitimizing her right to national sovereignty to one articulated by John Adams: “the general principles of Christianity; and of the general principles of American liberty and English liberty.’’ In doing so, custom reconciles the republic’s culture by uniting its multicultural fabric under the Constitution’s separation of powers, the democratic processes and the power of the people remaining at liberty to freely express themselves politically, through creativity, as well as the right to assemble and of association to re-legitimize this common cultural theme. In grappling with this, it is understandable that the ‘68’ers’ now target their own grandchildren for elimination from the political discourse who increasingly are rejecting the popular postmodern exploitative mantra “Diversity is our strength” — a cliche the Left has used to exploit the working class by expanding the welfare state under the guise of breaking down national borders in order to ‘proletarianize’ America through broad, sweeping international free trade agreements. The most prominent ‘68’ers’ could be found in the Ivy League as well as Hollywood. As the atrocities in the Communist world that came to light during the Hungarian Uprising threatened to derail the agendas of its biggest proponents in academe, the general consensus was that the solution was not to abandon Marxism, but rather revise Marx’s tactics to build socialism less violently through brainwashing and ideological subversion. This process became mainstreamed under the Beat generation, and the era cultural anthropologists oft label to be the ‘dawn of Aquarius’ in the West among the avant-garde. By the 1960’s, elements of the Beat movement, in particular Allen Ginsburg, would inspire the rise of the hippie counterculture beginning in San Francisco’s Haight-Ashbury district. Some historians and cultural anthropologists peg the ‘Age of Aquarius’ squarely to rock-n-roll based on the 1967 musical Hair’s opening with the Fifth Dimension’s hit “Aquarius/Let the Sunshine In”, which revealed that “This is the dawning of the Age of Aquarius” by explaining, quite vaguely, that “When the Moon is in the seventh house and Jupiter aligns with Mars, then peace will guide the planets and love will steer the stars.” The song, by promoting a utopia of peace and free love, blends hypersexuality with social justice — the motivating themes for the left-wing agenda — to manipulate and force the individual into internalizing and being redefined as a consumer for the purpose of achieving something greater (or small) for the self or society as a whole. By doing so, the individual is molded into ‘a more valuable member of our world’ as opposed to a disciple of Christ (who is not of this world). Marginalized to appear as if one small cog in the wheel of life, choosing a quality partner to construct this House of Partnership is irrelevant to achieving the greater agenda so long as one finds a lover or makes lots of money, for practical reasons or social considerations, and to transcend the natural order. By the end of the 1950’s, political correctness was in its infancy, unleashed by the avant-garde along the New Left as the chief tool for left-wing revisionists to deconstruct the West’s social and cultural foundation in the names of “liberté, égalité, fraternité” by advocating for anti-christian and anti-Semitic themes void of virtue and honor. In 1966, fully in harmony with these principles, Columbia University sociologists Richard Andrew Cloward and Frances Fox Piven collaborated to formulate the New Left’s so-called Cloward-Piven Strategy, whose underlying objective was not to secure the general welfare of the American people in the case of economic turbulence, but in fact to hasten the collapse of capitalism by overloading the government bureaucracy with a flood of impossible demands, thus pushing society into crisis and economic collapse. Inspired by the August 1965 riots in the black district of Watts in Los Angeles (which erupted after police had used batons to subdue an African American man suspected of drunk driving), Cloward and Piven published an article titled “The Weight of the Poor: A Strategy to End Poverty” in the May 2, 1966 issue of the proto-Marxist publication The Nation that was so well-received among the mainstream Left, that following its publication, an unprecedented 30,000 reprints were sold. This quickly went mainstream, with many left-wing activists eager to find any crisis to exploit through the media to rally the ire of pop culture icons in order to forcibly implement the so-called “crisis strategy”. But in doing so, both Cloward and Piven had to admit the forbidden truth that the ruling classes apply the welfare-state to weaken the poor because, by providing a social safety net, the rich elites consolidate power by dousing the flames of rebellion. Therefore, under Cloward and Piven’s plan, the poor must become so destitute that they will ultimately have no choice but to militarize and intimidate “the rest of society’ and government into compliance. Four years later in the September 27, 1970 issue of The New York Times, Cloward suggested that instead of placating to the plight of the poor with government handouts, activists (such as Occupy: Wall Street, Antifa, Black Lives Matter, CAIR and the Southern Poverty Law Center today) should unite to overburden the welfare system in order to ignite a fatal political and financial crisis prompting the poor to revolt. By way of ‘controlled chaos’ similar to the conditions in place during the French Revolution alone (soaring government debt, inflation and famine, alongside the visible disregard for the peasants within the Third Estate) would “the rest of society” accept their demands. And to achieve this, according to Cloward and Piven, the Left must expose the inadequacy of the welfare state by employing the tactics of Saul Alinsky, who instructed his disciples to “Make the enemy live up to their (sic) own book of rules” in his 1971 book Rules for Radicals. 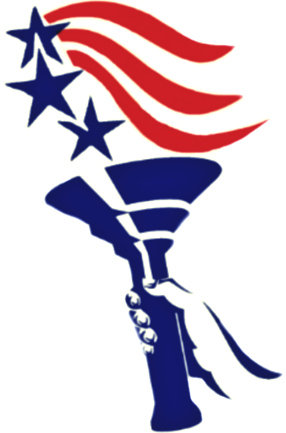 By pressing conservatives to honor every word of every law and statute in conjunction with all basic Judeo-Christian moral tenets in concert with every implicit promise of the liberal social contract, human agencies inevitably fall short, resulting in the systemic collapse of the government and financial infrastructure for its failure to “live up” to its rule book and thus by violating its own basic principles, automatically discrediting themselves altogether. And the Trojan Horse method is not at all restrained from infiltrating the most sacred of institutions: the Church. Since the rise of Argentine Cardinal Jorge Marie Bergoglio as the new Pope Francis I in 2013, the Roman Catholic Church — one of history’s great destroyers of civilizations — has seen an increasingly secular detachment from The Word of God and sound doctrine. On September 27 that year, the pope blasphemed by revising the Gospels to redefine the purposeful life of the catechist. Later on, in speaking before the Pontifical Academy of the Sciences in October 2014 the pope expressed the supremacy of scientism and evolution over faith and, in effect, rebranded Christianity to resemble Deism in all but name. On September 10, 2015, Pope Francis continued with his great apostasy by equating Jesus Christ and Jehovah to Muhammad and Allah, while calling for a merger of all faiths into a single universal religion. Similar to Satanic rituals, Islamic and Vedic iconography, it is common knowledge that Roman Catholicism shares with its counterparts similar Pagan and satanic rituals through their “strange Celtic lust for certain dates of the year. Especially where the Sun, moon and stars are prominently featured.” Especially through astrology, all indicators seem to point to Pope Francis I as the most powerful false prophet on Earth given his definition for what constitutes ‘sin’ is not whether “the God of the Christians forgives those who don’t believe and who don’t seek the faith,” but rather that because “God’s mercy has no limits if you go to him with a sincere and contrite heart… Sin, even for those who have no faith, exists when people disobey their conscience.” Recently, the pope was even quoted to have denied the existence of ‘Hell’. In including these into his sermons, he effectively implies that the Bible, and God, have lied to believers for thousands of years. The effectiveness of the Cloward-Piven Strategy has been proven effective beyond a shadow of doubt in the U.S. Regarding Wiley’s tactics, The New York Times commented on September 27, 1970 that “There have been sit-ins in legislative chambers, including a United States Senate committee hearing, mass demonstrations of several thousand welfare recipients, school boycotts, picket lines, mounted police, tear gas, arrests — and, on occasion, rock-throwing, smashed glass doors, overturned desks, scattered papers and ripped-out phones which according to Sol Stern in the City Journal “succeeded beyond Wiley’s wildest dreams.” Furthermore, “From 1965 to 1974, the number of single-parent households on welfare soared from 4.3 million to 10.8 million, despite mostly flush economic times,” and “By the early 1970s, one person was on the welfare rolls in New York City for every two working in the city’s private economy.” As a direct result of its massive welfare spending, New York City was forced to declare bankruptcy in 1975. The entire state of New York nearly went down with it. The unlearned lessons of the Israelites and the Golden Calf have, under the Pope, evolved into the Vatican’s new proposal for a globalist agenda when he appointed Hans Schellnhuber — who a few years ago called for depopulating the world’s population to below one billion — as his new czar on climate change. The pope’s global ‘climate change’ initiative will likely incorporate the Gaia Principle developed by chemist James Lovelock and microbiologist Lynn Margulis during the 1970’s. In a 1999 op-ed for Nature, Schellnhuber enthusiastically endorsed the Gaia Principle for “lending respectability…” to the “‘geophysiological’ approach… that the biosphere contributes in an almost cognizant way to self-regulating feedback mechanisms that have kept the Earth’s surface environment stable and habitable for life.” Such radicalism deteriorates to the point of foreshadowing an unprecedented global holocaust, for the solution to the “effects such as the glaciations may still be interpreted as over-reactions to small disturbances… the main events, resulting in accelerated maturation by shock treatment, indicate that Gaia faces a powerful antagonist. Rampino has proposed personifying this opposition as Shiva, the Hindu god of destruction.” In 2004, Schellnhuber referred to mankind as an infection that “perturbs… the global ‘metabolism’” of the planet. The Cloward-Piven concept has become the greatest threat to world peace as a result of the orchestrated Muslim ‘migrant crisis’ in the European Union, leading to the rise of German Chancellor Angela Merkel as the de facto kaisarin of a ‘Fourth Reich’ as a result of her policies of open-borders and austerity following the market crashes in 2008. The massive deluge of Muslim ‘refugee asylum seekers’ from Syria, Iraq and Libya have exploited the open-border region of the eurozone known as the Schengen Zone by shopping for places to live based on where they could find the most generous welfare policies and access to public housing. The result has brought about the near total collapse of the euro (the single currency within the EU’s eurozone client states), as well as soaring public debt at the behest of the former Nazi George Soros in the wake of these migrants proving to not be the necessary replacements for the retiring white working classes and declining birth rates. In the U.S. under the former ACORN-certified community organizer and president Barack Obama, the remarkable rise in media exploitations of manufactured crises resulted in the astounding increase in mass shootings inside open spaces where guns were banned, while embellishing alleged systemic police brutality against the black community into ‘the Ferguson Effect’, and the subsequent wind tunnel that naturally landed on college campuses following the defacing of a toilet stall with racist graffiti at the University of Missouri in 2015, and at Berkeley the next year following the election of Trump. Today’s generation of millennials no longer tolerate conflicting realities and points-of-view not in harmony with their own, and free speech on college campuses and the workforce as a result faces its greatest existential crisis over the suppression of voices challenging the destructive left-wing agenda through chants of being tainted by ‘white privilege’ and its political component, ‘fascism’. Nearly 20 years into the 21st Century, the children of the flower and surviving acolytes of Saul Alinsky, the Black Panther Party and Weather Underground dominate the American government and political infrastructures and universities. Emerging like angels of light blinding the world via sublimation using ‘flower power’, ‘peace, not war’, Vietnam war protests, the ‘Summer of Love’ and Woodstock, many from the ‘baby boom’ generation are now dying off due to natural causes. But the damage of ‘the dawn’, so irreparable, is done. Its aftermath continues yielding far louder sunsets prior to full darkness each day. Pope Francis, as a Jesuit, has likely survived as a closet liberation theologian since ‘the dawn of Aquarius’, frightening both Catholics and polemics alike fearful of global agendas and moral relativity which it peddles. The elected elite of Christ’s Church, whether Catholic and Protestant, have married Karl Marx; it will reap its reward by going to its destruction (Revelation 17:8). It is therefore incumbent upon today’s youth to make sure the ’68’ers’ die before their agenda is complete without replacing it with a terrestrial hell all their own.